Valeria Golino stars as Tina, the responsible, loving mother of almost-10-year-old Vittoria (Sara Casu). But, we quickly learn, Tina isn’t Vittoria’s biological mother; she adopted the girl at birth from the much more reckless, free-spirited Angelica (Alba Rorhwacher), who lives nearby and spends most of her evenings drunk at the local bar, hooking up with the men who buy her drinks. Tina and her husband have always helped Angelica financially, but now she’s deeper in debt than any of them can manage and may lose her house. As they all wait to see what happens next, Vittoria finds herself drawn to Angelica, who talks frankly to the girl, takes her on impromptu outings, and lends her grown-up jewelry. Angelica seems to be having second thoughts about her decision to let Tina raise her daughter — but is she ready to be a mother in the way that Vittoria needs? Quietly stunning, deceptively subtle, razor-sharp portrait of fragile girlhood and complicated motherhood. A very welcome addition to the small but growing roster of films that skewer the fable of a natural and automatic “maternal instinct,” while also casting loving, nurturing motherhood as complex and maybe even a little bit selfish, sometimes, too. I feel like this one is going to haunt me. Loren King The film unfolds with an immediacy as raw as its setting, a sprawling, hardscrabble landscape filled with animals and humans that need taming and tending. Bispuri creates a complex, tough and tender portrait of two women struggling to hold onto themselves and what little they have in a place as unforgiving as the earth and sea around them. With dynamic performances by the leads, Daughter of Mine powerfully examines the ties that bind and the age-old question of what it means to be a good mother. Read full review. Marina Antunes An affecting story of the difficulties of motherhood and the invisible bond that connects mother and child. Alba Rohrwacher gives a memorably raw performance. Susan Wloszczyna: Set against the raw and rocky primordial landscape of Sardinia, Laura Bispuri’s Daughter of Mine is an intriguing if loosely told tale of two mothers, feral party-girl Angelica (Alba Rohrwacher) who gave birth to a look-alike daughter and Tina (Valeria Golina, hardly aged since starring in 1988’s Rain Man), a church-going factory worker with raven tresses who has invested her whole life to making sure the girl has been raised right and wants for nothing. She even sleeps in her child’s room rather than with her husband. Read full review. Kristen Page Kirby Complicated female characters have long been missing in cinema throughout history and into today – though admittedly things are better now. Women are too often categorized as one thing; they’re either loving OR mean, sweet OR sour. In “Daughter of Mine,” we meet two incredibly complicated women done justice by two incredibly complex performances. What “Daughter of Mine” does best, though, is serve as a meditation on what, in the end, what it means to be a mother. Liz Whittemore Boasting brilliant performances from all three of our leading ladies, Daughter of Mine is a love triangle between two “mothers” and one child. With two adults that could not be more opposite in character and substance, 10-year-old Vittoria is torn between what intrigues her unsullied mind and the comfort she has always known. 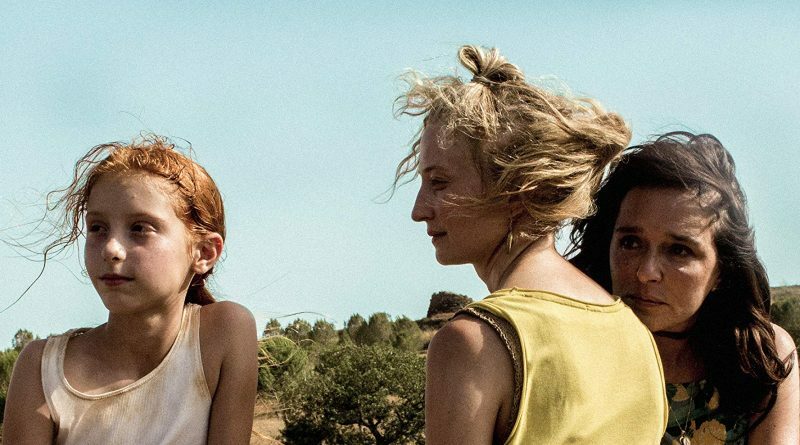 Shot vividly in the sunshine of the Mediterranean and scored with wildly loud and audacious songs, Daughter of Mine is a story filled with as much cruelty as kindness. And in those differences is where we find the intrigue and nuance. It is a film that will pull at the heartstrings of those with or without children of their own. Jennifer Merin Daughter of Mine is a gripping female-centric family drama directed by Laura Bispuri, who also co-wrote the script with Francesca Manieri. Set on the Mediterranean island of Sardinia, the story follows the sometimes brutal rivalry between two women who are claiming the rights and responsibilities of motherhood to a girl who is too young and emotionally unsophisticated to choose between them. The theme is a powerful one. The plot seethes with tensions surrounding maternal instincts. Valeria Golino and Alba Rohrwacher give stunning performances as the two women, and young Sara Casu brings poignancy to the girl torn between them. The film is in Italian with English subtitles. Sandie Angulo Chen: Daughter of Mine explores nature versus nurture, female friendship, motherhood, and love. 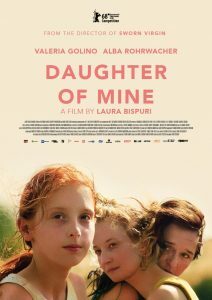 Director Laura Bispuri’s Italian-language drama set in Sardinia features three incredible central performances: Alba Rohrwacher as Angelica, an impulsive, hedonistic woman, Valeria Golino as Tina, a devout, hard-working mother, and young Sara Casu as Vittoria, Tina’s nearly 10-year-old daughter. Vittoria is Angelica’s biological daughter, but Tina has raised her since she was a newborn. This is no predictable court-room drama about custody rights. It’s a quiet and affecting drama about two dramatically different women and the girl they both love. 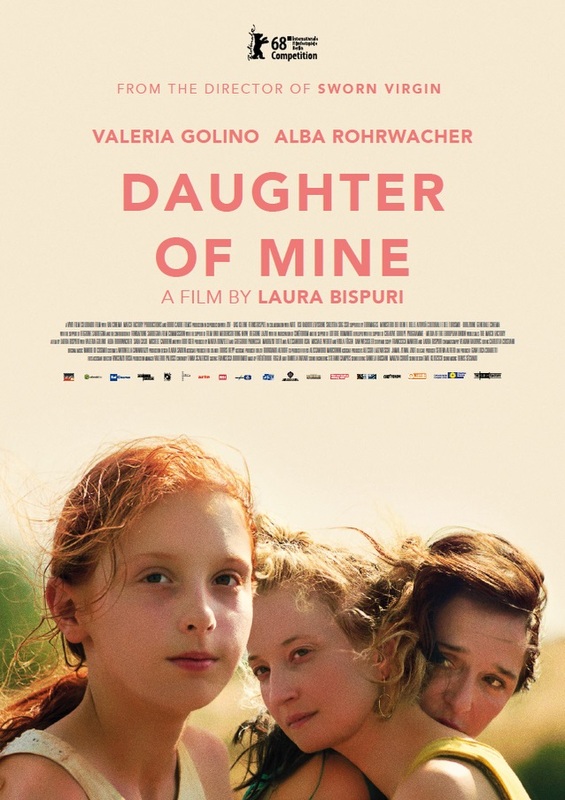 Cate Marquis Laura Bispuri’s strikingly honest Daughter of Mine, an Italian-language drama that explores the meaning of motherhood through the tense struggle between two women who both have claims on a 9-year-old girl. Set in the wind-swept, sandy island of Sardinia off Italy’s coast, the drama is both specific to this location and these people, and universal. Read full review.